This seems at first glance like a truly noble gesture to improve the health of Australians. The reality of course is very different. The Council is assessing any reduction in sugar by quantifying ‘aggregated sales weighted volume data’ using 2016 as a baseline. Well it so happens that sales of soft drinks in this country have declined by 7.5% in the past year so the Beverages Council will achieve its aim of a reduction in total sugar intake by its declining business – talk about making a success out of a failure – brilliant. Whoever thought of that is a genius. They of course have no intention of reducing the sugar contents of their big sellers – Coke and Pepsi. 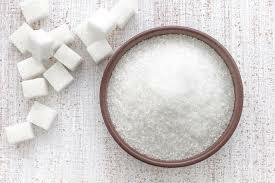 Instead, as a result of increasing public awareness of the dangers of excess sugar intake with campaigns such as SugarByHalf, I Quit Sugar etc, sales of soft drinks are steadily declining especially in higher socio-economic areas. These are largely being replaced by increased bottled water sales and as the same companies that make the soft drinks own most of the bottled water brands, the net economic impact on these big multinationals is minimal. The saddest thing about today’s announcement was the pathetic endorsement by Australia’s (Ill) Health Minister Greg Hunt who has also been conned by the Beverages Industry, continuing the government’s subservience to the food and drink industry who have blocked all attempts to improve the health of Australians.